Everyone driver knows they should pay attention to the lights on their dashboard, but many simply ignore them until a problem occurs. Here at University Chevron, we know better and strive to inform drivers of the importance of these messages, one being the check engine light. Your check engine light turns on for a reason, and it should always be checked out right away. The problem can be anything from a small cap being loose to serious engine damage, none of which should be ignored. Don’t save a few minutes today only to ruin your car tomorrow and deal with more costly service that takes much longer, instead come to University Chevron. 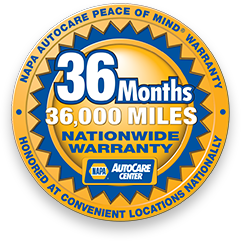 Proudly serving the Fairbanks area since 1977, great auto service with quality customer care is what we are about. Call, stop by, or schedule an appointment online now.